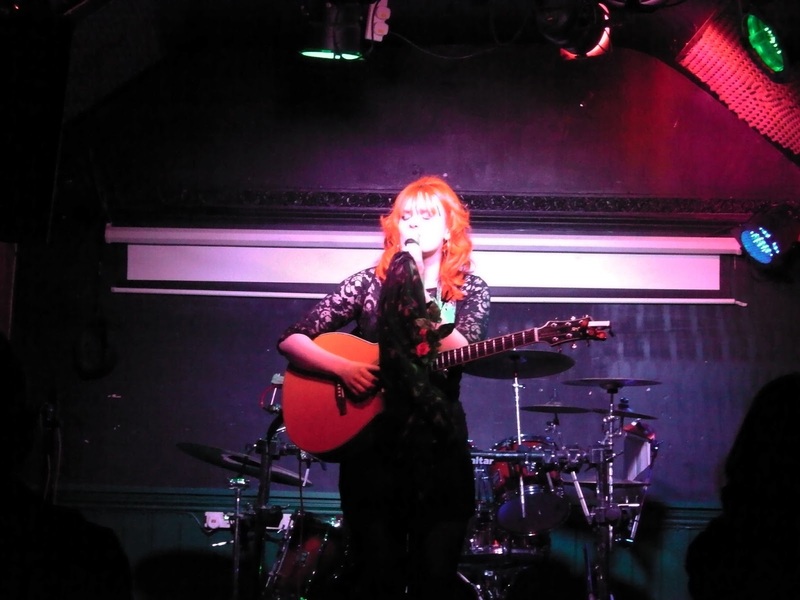 Six months after discovering the amazing talent of Rose Redd at a Birmingham Arts festival, an opportunity was presented to catch her debut headline show and check out the progress of this Midlands-based singer-songwriter’s fledgling music career. In the subsequent months since that discovery, Rose has finally been able to put out a release and continues to ply her trade on the Midlands music circuit as well as having an eye on some ambitious opportunities to pursue commercial success. 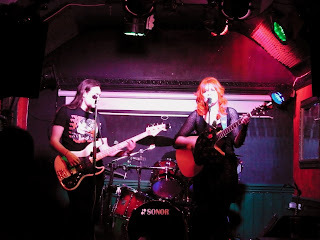 During this evening, the cellar bar of Katie Fitzgerald’s pub in Stourbridge hosted Rose and gave her the inaugural opportunity to play live two – 45 minute sets. While there was no doubting that the raw ingredients were in place after first witnessing her, the development in this intervening period has been immense and we certainly have a very accomplished performer in our midst. Flawless and immaculate are fairly strong superlatives to be attached to the vocal delivery of an artist but they are words not wasted on Rose who, with an inimitable and distinct style, conveys the significance of her songs with such maturity and candour. To this extent, Rose has the versatility to take her music in any number of directions and still make an impact. The lucrative world of popular music may be ready to embrace her, yet the potential is there to gain meritorious acclaim in the genre world of roots and acoustic music as well. The major evolutionary change in the live performance of Rose is the progression to enlist the services of a band and for the second half of this evening’s gig we had the pleasure of listening to a mixture of self-penned and carefully selected cover songs delightfully backed by a rhythmic combo of light percussion and electric bass. This supplemented the acoustic and vocal skills of Rose exceptionally well and raised the expectation bar of what can be achieved. Another positive side to Rose’s work is the way she absorbs her influences and subsequently uses them to inform her own song writing. There were six well interpreted versions of old songs spread across the evening including opening with Sting’s ‘Fields of Gold’ and ending with her awe-inspiring rendition of ‘Wild Horses’. On the birthday of one of her heroes, Ella Fitzgerald, Rose spared the guitar to deliver ‘Summertime’ and in conjunction with the band gave credible performances of Tracey Chapman’s ‘Fast Car’ and ‘Iris’ by the Goo Goo Dolls. Interestingly she delved a little bit into the world of folk with Ewan McColl’s ‘First Time I Ever Saw Your Face’ and in the future it may be beneficial for her to further explore the world of country, blues and soul as well. However first and foremost, Rose is a singer-songwriter and this well balanced set showcased a fair proportion of original material that should hopefully prove the core of a debut full length release. The extraordinary depth and ability to translate her inner thoughts (both positive and negative) give Rose’s self-penned songs so much credence and, while the substance is in place, the killer melodies will surely follow. 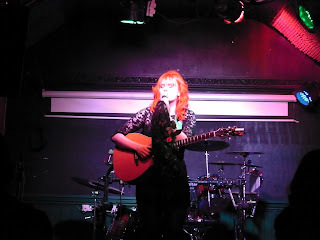 ‘Perfectly Useless’ has eventually become Rose’s first single release and unsurprisingly closed the evening’s second set. The diversity of Rose is exemplified in the two versions of this song available, first the pop-infused radio magnet style developed in conjunction with top notch producer Gavin Monaghan and the acoustic one which will keep roots enthusiasts on board. Take your pick from the nation’s leading download stores but hasten to add, it was more of the latter than featured in this gig. ‘Girl with a Broken Heart’, ‘Curtain Call’ and ‘Once Upon a Time’ are all fine original songs which were played across the two sets and at present can be accessed via You Tube. An interesting addition to this evening’s set was one of Rose’s earliest self written songs (around the age of twelve I think) and despite being a touch apprehensive about resurrecting it, ‘Alice’ sounded really good. For someone so formative in their performing years, the between song audience interaction is progressing well and you certainly get a feel of where the songs are coming from with her honest and heartfelt introductions. An appreciation must go to Stourbridge singer-songwriter Sunjay Brayne for giving Rose the opportunity to play this debut headline gig. He entertained those present with a brief selection of his material including a cover of Roger Brooks ‘Street Riot’ and his new single ‘The Fire Down Below’. Hopefully the opportunity to feature more of Sunjay’s brand of Americana infused folk/blues will occur as early listens of this young performer are exceedingly impressive. So six months on, the career of Rose Redd is showing positive signs of development. Her professionalism and determination is admirable and whatever sound path the career takes, the raw talent will give her every opportunity of success. However, or to what extent this pans out, there should always be somewhere, a Rose Redd – writing, playing and singing beautiful songs.